With custom options for roman shades come so many questions. What are the styles, what are the linings, and what is a cord lock system? Today, we’ll give the break down and go through every option to become a pro in making a decision when it comes to our fabric shades. 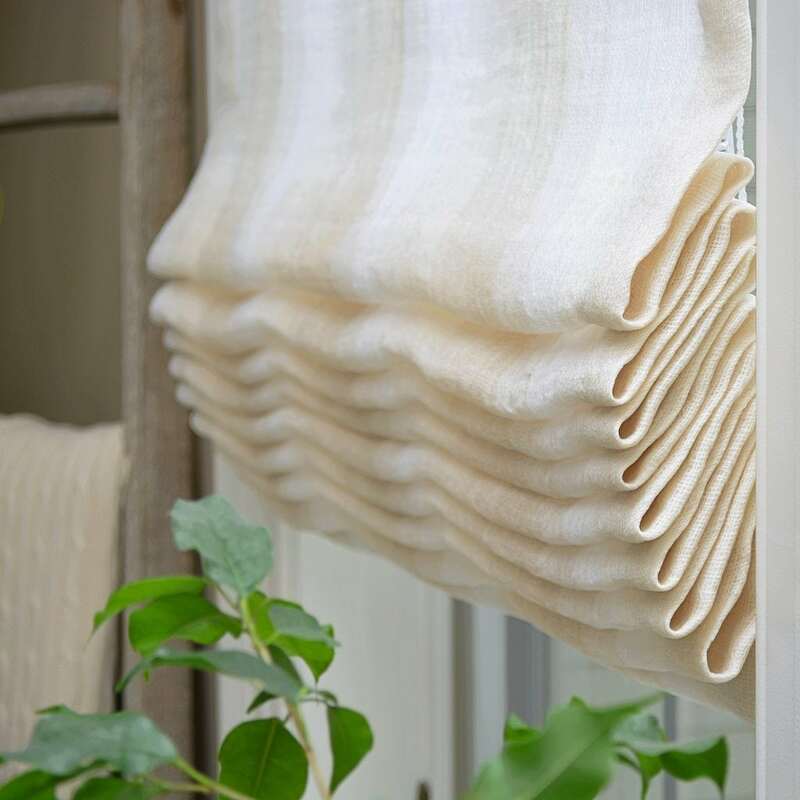 Choosing Your Fabric: This might seem like an obvious one, but one might forget what the needs are in a window treatment. Are you looking for a sweet and simple touch to add to the room, are you looking for a more modern edge, or maybe a even a statement piece? With so many fabric options available, the right fabric can be easily found. Our Organics Collection offers a variety of sheers with a mesh-like feel. These are great for truly giving an organic and subtle vibe. The fabric in our Plains Collection offers wonderful linen-like fabrics with an option of beautiful trimming that can be so versatile. The Momentum and Damask Collections can be the head-turning statement you’re in need of. Fabric samples of each can be ordered here. System Options: Who knew that roman shades can have this many system options? Your decision on a system should be based on whether you have pets or children in the house, and also how high the shade will go. Our most popular system would be the cordless. This option has no strings or cords, just a simple tab in the back that allows you to move the shade up and down. Please keep in mind if the shade will go up high, it will be difficult to reach up and down. Continuous loop has a beaded white chain that works like a pulley, pulling on the loop will rotate it and move the shade. The cord lock system is very identical to how blinds work. The shade will move up and down based on pulling down and right/left of the cord. What’s also great about this is that we ship out each cord lock shade with a safety cord cleat, which is installed on the inside of the window sill, same side as the cord. This little piece allows you to wrap any remaining loose cord to avoid having it lay loose on the floor, making it a safety hazard. Selecting your Lining: Lining can make an enormous difference on how the shade will look, and also how much light will pass through it. Each collection we have offers different linings based on the fabric. Our Organics Collection can come with a sheer lining, privacy, or even unlined. Our sheer lining is great if you’re looking to add some volume, but still allow light to pass through. The rest of our collections offer privacy or blackout lining. Both will add fullness, but both vary greatly in how much light passes through. Our privacy lining will give you the privacy you will want but will allow some light to pass through, and blackout will not pass any light through. Please keep in mind when ordering an inside mount shade with blackout lining, there will be a natural space between the shade and the window, which will have some light come through. Style, Style Style: This is our favorite part of the process. And it’s also the easiest! We offer three chic options; waterfall, relaxed and classic. Each will create a look that reflects your individual style. Our waterfall is the most popular, which is a simple flat style. The relaxed style is “pinched” on each side to create a swoop in the center. Last, but not least, is the classic style, which is similar to the waterfall, with the exception that there is a 7” valance added to the top for an extra statement. What’s great about all of these options, is that they can be combined in ANY way, which means any style can go with any system, lining, etc., making them all made to order. All of these tips can be seen on the sight by clicking the “?” next to each option. Roman shades are a great accessory to any room, and can be made to fit your lifestyle and needs!